Whether you are a wine enthusiast or you’re just a tourist, this section has the details to cover all your questions that revolve around Canadian wine. Discover what you need to know about Canadian wine in this section. From top vineyards to visit in Canada, to the best Canadian wine, there’s some important information for everyone. 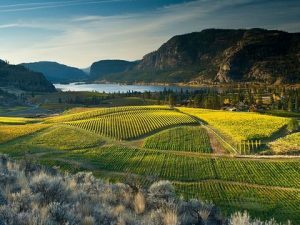 Find about the Top Vineyards in Canada, details about the places to visit when touring wineries and vineyards in Canada. There’s a myriad of vineyards in Canada, so this part helps you browse through some of the best to save time and resources. Find out where some of these vineyards are located and why they’re amazing and will obviously impress every tourist. Reif Estate Winery in Niagara Peninsula and Mission Hill Family Estate in Okanagan Valley are some of the vineyards you should consider visiting when you’re in Canada. Best/Favorite Wines in Canada for people who have a penchant for a wine that’s made in Canada. Find out which wine you should go for when you want a wine that’s made locally. Even if you’re not in Canada, you’ll still know why Burrow Owl Merlot 2012, Bachelder Wismer Vineyard 2011 Chardonnay Twenty Mile Bench Wine, and other collections of wines stand out from the rest. You’ll also learn about which foods go well with your favorite glass of wine. Do you want to learn about the online process of buying any wine in Canada? Or are you a foreigner who wants to purchase some Canadian wine online? This section has a rundown of the procedure you need to follow when you want to buy wine from Canadian online retailers. Before you proceed to this section, remember that you must prove that you’re an adult if you’re going to purchase alcoholic drinks online and you should always drink wine responsibly. You’ll also learn about Canadian online wine shopping websites- -How should it really look like? What details should the online sites contain? How well do they resonate with their clients? Are there any payment options? And if yes, are they legit? Learn why you should find it easy to navigate your Canadian online wine shopping website of choice. The section “History of the Canadian Wine” gives details on how it all started? Who were the pioneers and what was their intentions when growing grapes and fruits, and building wineries. You’ll be surprised to know the roles that the present day Newfoundland and Niagara province in Ontario play a vital role in the history of Canadian wine. You’ll also learn where Canada stands when it comes to the most significant and best wine producers in the world. Read on to know what Canada is doing to improve its wine and promote this drink to the rest of the world. Be sure to read about everything that impacts the wine industry in Canada, including new entrants and prominent wine companies that are undertaking to up their game. Navigate this site for any other relevant detail you want to know about Canadian wine and vineyards.